Last week the government cut the tax payable on about 200 items and eased filing norms after it was criticized by some for a chaotic roll-out as companies grappled with the multi-tier structure and onerous reporting system. 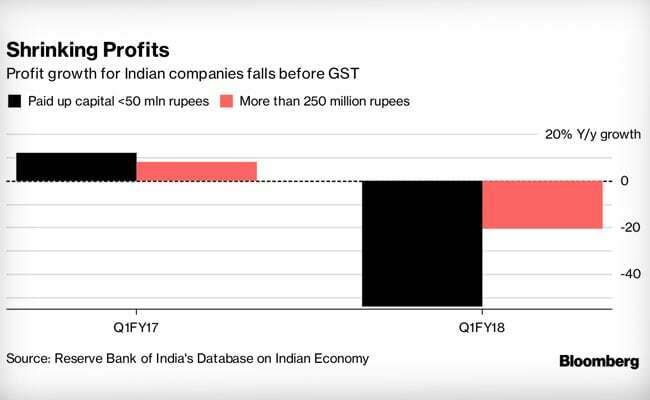 India's biggest tax overhaul since independence has driven a wedge between companies that have adapted to the new levies and a vast swath of small businesses, representing almost half the economy, that are struggling. The trend emerging from the first quarter of earnings since the goods and services tax, or GST, was introduced on July 1 shows bigger companies such as the Tata Group's Titan Co. Ltd, India's largest carmaker Maruti Suzuki India Ltd. and Godrej Consumer Products Ltd. have used the disruptions to gain market share. Smaller operations are reporting that increased compliance costs, supply-chain disruptions and policy changes have hurt profits and forced some to shed workers. 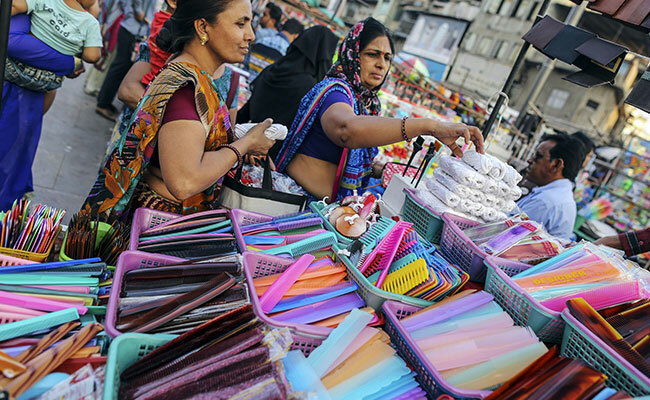 The disruptions have hit traders, traditionally a large vote base for Prime Minister Narendra Modi's BJP. Addressing any slump in activity among the country's 58 million small enterprises, and the businesses they supply, will be crucial for growth to rebound in Asia's third-largest economy. It will take time for small and medium-sized enterprises to recover from the "GST blues" as many weren't prepared and couldn't deal with the changes, said M.S. Mani, a partner overseeing GST at Deloitte India. "This led to some of them putting all operations on hold and it will now take some time for them to revive their business. Many smaller companies are suppliers to large businesses and they were worried about business continuance and tax challenges." The GST has been more than a decade in the making and is expected to make dodging taxes more difficult, bringing the nation's vast cash economy into the mainstream. But its disruptive roll out and concerns about a widening gap between better-run companies and the laggards -- often smaller firms and those in the informal sector -- poses a challenge to PM Modi who rode to power in 2014 on the promise of more inclusive growth. The difference for Mithun Chittilappilly, managing director at V-Guard Industries Ltd., which deals with both large and small companies, is down to how cash intensive a business was as well as how prepared they were to make the necessary accounting and technology changes. The consumer durable goods sector, which is more formalized, has better transitioned than others including electrical goods players, said Mr Chittilappilly, whose company manufactures stabilizers, pumps, cables, electrical and solar water heaters. "In the case of the electrical trade, in many other parts of the country we saw that they were not doing really anything. There is a lot of unorganized sales happening," he said, adding that many companies didn't even have technology systems in place on July 1. Citigroup Inc. analysts Jamshed Dadabhoy, Aditya Mathur and Arvind Sharma traveled through the state of Madhya Pradesh in October to meet local companies, wholesalers and traders. In most conversations, owners indicated increased compliance costs and difficulties with the technology and network to upload tax invoices. On the other hand, Nisaba Godrej, executive chairwoman of Godrej Consumer Products Ltd., said remaining "agile" helped her 120-year-old soap company navigate channel disruptions and deliver 10 percent volume growth. The gold and jewelry industry is another example of how organized retail has side-stepped any overall volume declines. Titan -- which gets 80 percent of its revenue from jewelry -- reported a 71 percent rise in second-quarter net profit from a year earlier and a 29 percent increase in sales. At the same time, gold consumption in India dropped to a seven-year low in 2016 as efforts to formalize purchases damped demand. Volumes will probably remain near last year's level in 2017 as well, estimates the World Gold Council. "There are a few companies that are doing well from a market share capture perspective, like Titan Co. Ltd, Maruti Suzuki India Ltd., Hero Motocorp India and organized retailers, but we didn't get the impression of an acceleration in demand yet," the Citigroup analysts wrote in a report. That view was shared by the chief of one of India's largest electrical equipment manufacturer, Havells India's Anil Rai Gupta. Businesses have been slow to replenish inventories that were emptied out before GST due to the uncertainty stemming from the new levies, he said. Credit Suisse analysts Neelkanth Mishra and Prateek Singh cited surveys by Tally Solutions Pvt. Ltd, a software provider, to highlight the pain of many small enterprises. The surveys indicate businesses are holding back payments to their suppliers till they are convinced the supplier has paid the tax and uploaded the invoice. "This is because they are unsure they will get any credit," they wrote in a report. "If this is systemic and not just a few anecdotes, it could slow down activity levels in many supply chains for several months."